The “Super Committee” given the duty to come up with a deal to cut $1.2 trillion from the federal budget are expected to announce shortly that they are not able to come to an agreement. 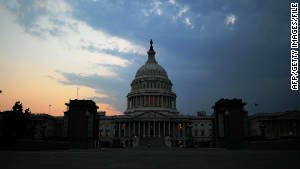 The news was reported by both Republican and Democratic aides. The current situation indicates that unless a major breakthrough is made, the decision to call off the talks and move on to a new idea will be announced as soon as Monday morning. The current deadline for a plan to be made is tomorrow night, with the original hope for a Wednesday vote. The lack of the committee’s ability to come to an agreement is just the latest news of Republicans and Democrats not being able to work together for the good of the country. One major reported issue is that many Republican congressmen have promised the wealthy lobbyist Grover Norquist to not raise taxes. It is just another disappointment that Republicans are again unwilling to bend on taxes when history shows that when FDR raised taxes on the rich after the Great Depression it turned out to be a big reason why the economy recovered and ended up working well for everyone. It is now a wait and see if any resolution to the economy will ever come.